Comfort is a very important feature in a vehicle. 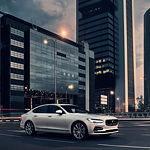 Whether you are driving to and from work each day or you have a road trip to embark on, the Volvo S90 is a vehicle that provides everything you could ever want in its standard packaging. Each trim level comes with a 9” Sensus Touchscreen. This screen has a layout that has ease of use in mind thanks to its clear graphics and text. A little bit different than other vehicles on the market, the touchscreen is set in portrait view. Smaller is sometimes better and luxury is always a plus when choosing your next vehicle. Are you ready to explore the roads of Columbus in a vehicle that is not too big, but also includes the elegance and luxury that make driving it a joy? 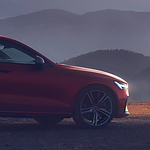 If so, then a quick trip to Byers Volvo Cars will allow you to take a closer look at the all-new 2019 Volvo S60. If you are looking for a vehicle that you are proud to look at, then one of the vehicles that are certain to give you the visuals you desire is the 2019 Volvo XC60. This vehicle has a design that will make it easy to recognize from all of the other vehicles. 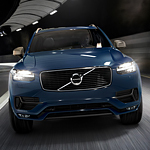 The Volvo XC90 was recently delivered to the lot at Byers Volvo Cars and we needed to take a minute to highlight a few of the safety features we think contribute to the growing popularity of this luxury SUV. 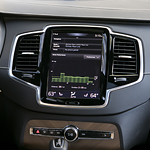 If the Volvo XC90 drifts from the lane you're traveling, Lane-Keeping System sensors mounted on the vehicle detect the concern and will send a signal to vibrate the steering wheel. This vibration is designed to replicate riding over rumble strips and will get the driver to take quick action to correct the position of the SUV. The first way the V60 Inscription is different for the better is by its rims. 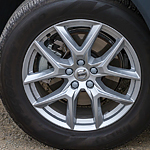 The 19-inch alloy wheels come with rims that have a diamond cut finish to them. These rims will make the vehicle shine on any road, and there is no other vehicle on the market with this same design. 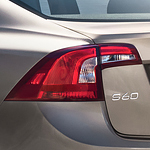 Volvo is known for their innovations in technology and driving safety. The new V90 offers a brand-new way to travel. 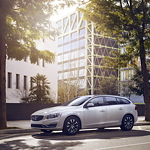 This popular luxury wagon is available at Byers Volvo Cars with the Pilot Assist system. It's a semi-autonomous driving system that can help you cruise comfortably. Popular with those who require comfort and performance along with all-wheel drive utility, the Volvo S60 R-Design sports sedan fulfills all of these roles while also providing plenty of visually appealing style both inside and out. If you are looking for a luxury sedan, what features do you prefer? 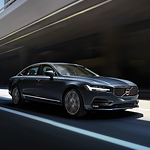 If you want a luxury vehicle that offers plenty of features that enhance comfort, our team at Byers Volvo Cars serving Columbus thinks the Volvo S90 Momentum trim is an excellent match. You can find out more about the Volvo S90 Momentum trim below. The Volvo XC90 R-Design trim is part of the 2018 lineup of Volvo compact SUVs. The 248 horsepower engine pairs with a Drive E powertrain to provide responsive performance and smooth acceleration. The XC90 R-Design offers power, economy, and low emissions. Columbus-area drivers enjoy the sports look interior with Napa leather and white stitching. The exterior has large wheels, a glossy black roof, and body accents. The Volvo XC90 R-Design Trim has a bold and distinctive style. The Volvo XC40 R-Design Trim is part of the popular lineup of compact Volvo SUVs. The 2018 exterior styling has a bold stance from large wheels and shiny black rooftop. The 248-horsepower engine works with the Drive E powertrain to provide smooth acceleration in city and highway driving. The combination also produces excellent fuel ratings and low emissions. Columbus drivers enjoy the fingertip control over the handling and suspension. The touchscreen control panel allows drivers to customize the ride to match their driving styles and road conditions.